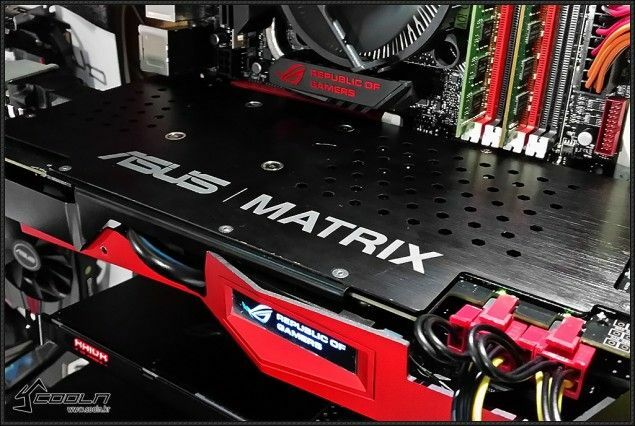 Just recently, photos of the upcoming Asus ROG Matrix R9 290X Platinum graphics card surface before its official launch. 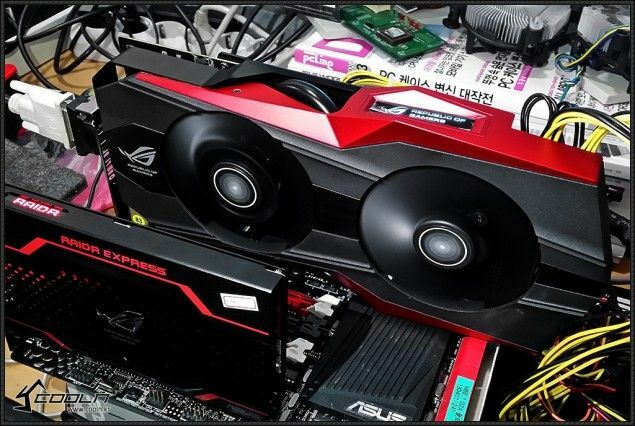 Photos, including videos, of the ROG Matrix R9 290X Platinum were revealed by folks at a Korean based site, CoolEnjoy.net. 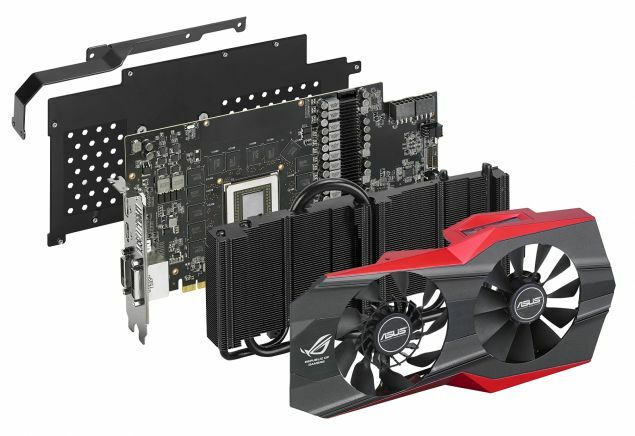 The card is reported to feature AMD Hawaii XT flagship core, a custom PCB and cooler design and expect that this model is designed to handle extreme overclocking. Check out more details below. 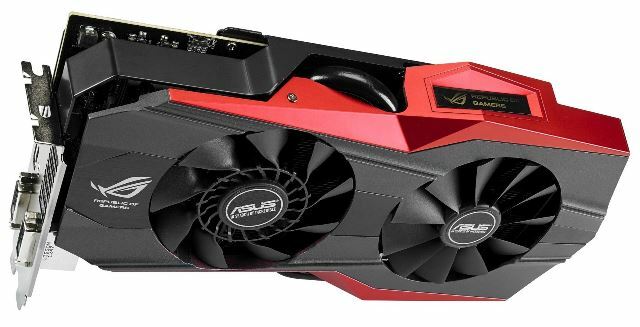 It looks like Asus has been redesigning the looks of their premium graphics card, separating them from the previous generation and other current ROG series. 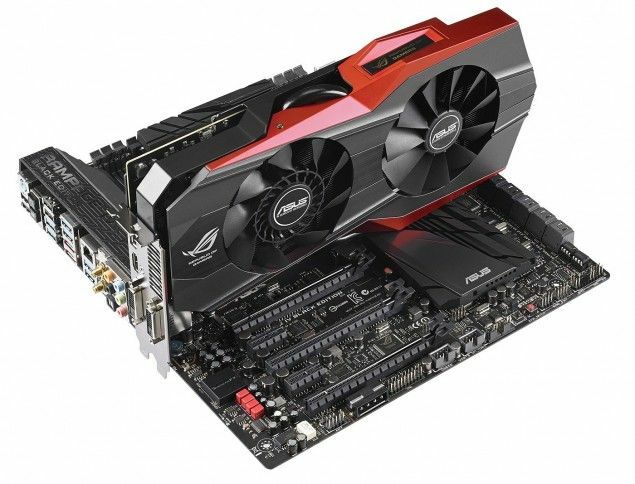 Basically, the Asus ROG Matrix R9 290X Platinum features the Hawaii XT chip with 2816 stream processors, 64 ROPs and 176 TMUs. The processor is paired with 4GB GDDR5 memory in a 512-bit memory interface. It is also expected that this card will feature factory overclock settings and most definitely can be overclocked further. The Asus Matrix R9 290X Platinum also features a large black heatsink with 5 heatpipes directly touching the processor. The card generally has all-black design with red accents. The heatsink is cooled by two 92mm fans with CoolTech technology, similar to the ones we see in the R9 280X and R9 290X DirectCU II. 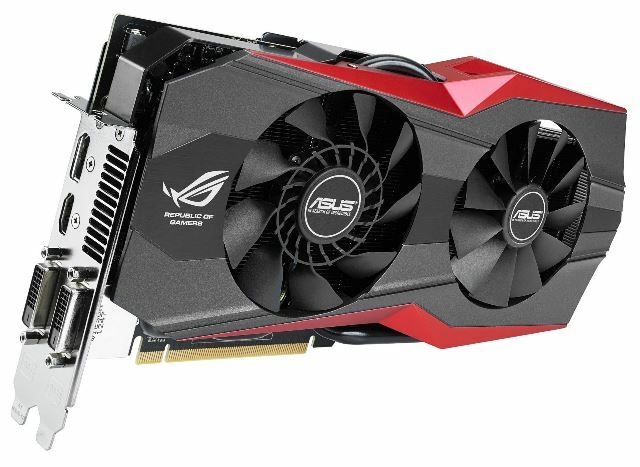 This card also draws its power from an 8pin+8pin power connector, unlike with the Asus R9290X-DC2OC-4GD5 which has only a 6pin+8pin power connector, expect that it will consume more power. 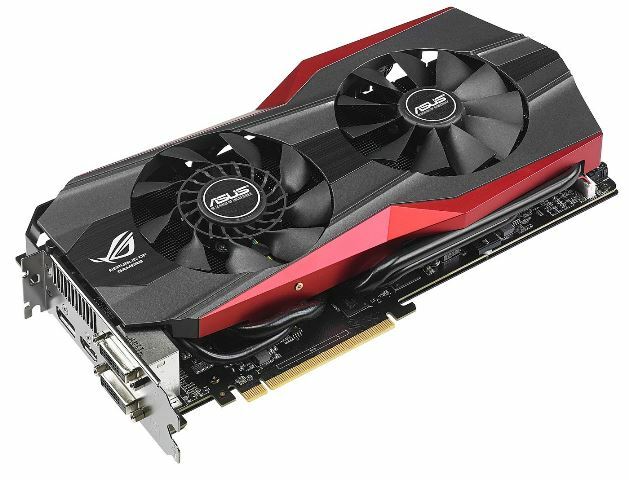 The Asus ROG Matrix R9 290X Platinum is definitely Asus’ answer to other top tier high end R9 290X graphics cards out there like the Sapphire Radeon R9 290X Vapor X and MSI R9 290X Lightning. 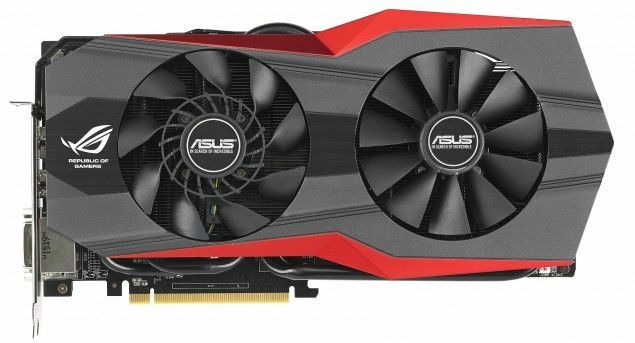 If the Asus R9 290X DirectCU II is currently selling for $619.99, expect that the Matrix R9 290X Platinum would be priced around $700 USD or more. Information regarding its specifications, clock speeds, exact price and release date are not available right now. But it won’t be long until Asus will officially launch this card. 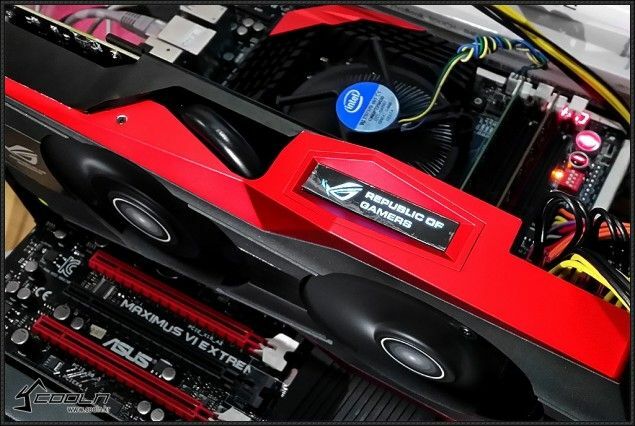 Aside from the Asus Matrix R9 290X Platinum, Asus is also planning to unleash the Asus ROG Matrix GTX780TI Platinum and Asus ROG ARES III Dual GPU.